Actually this song was on a record that I sadly failed to rescue from destruction, last time Frank and I did AUKTION-DESTRUKTION. 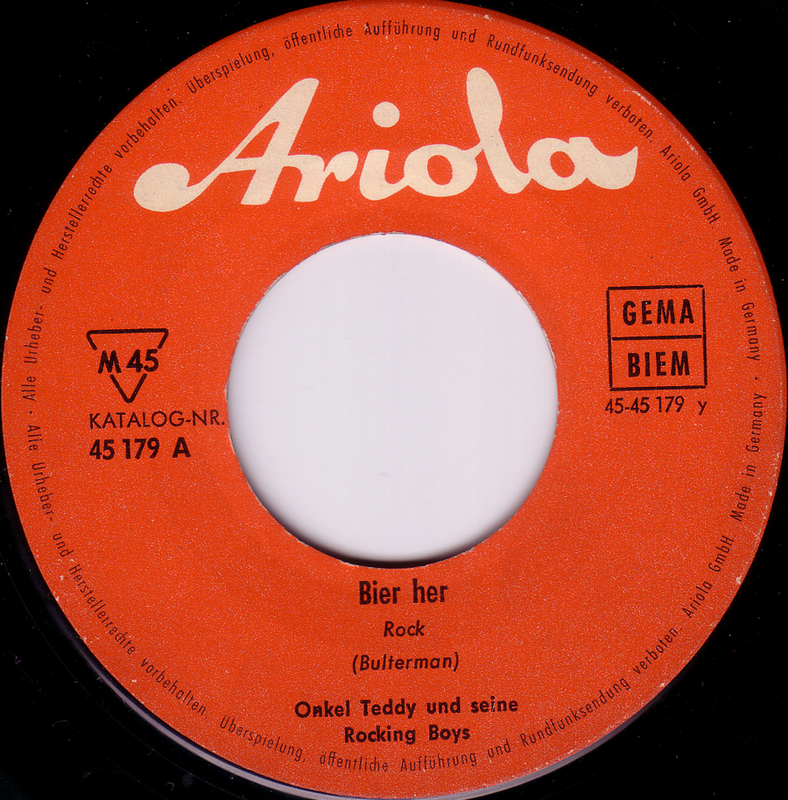 Somehow nobody bid on a compilation EP with German drinking-songs “For Adults only” that Frank put up for auction. So Frank eventually had to break it. I have this 45 with Picture Cover. PROST !